A NSW court has dismissed an appeal against a Hunter Valley coal mine ban. The case is significant because the judge’s decision took into account the coal’s affect on green house gas or GHG emissions. Justice Brian Preston of the Land and Environment Court upheld the refusal of consent for a mining application made by the NSW Department of Planning and Environment in 2017. He ruled that the proposed Rocky Hill open cut coal mine, near the town of Gloucester in the Hunter Valley, would increase global greenhouse gas emissions. Noise, dust and visual impact also informed the landmark decision. Preston stated: “[The] GHG emissions of the coal mine and its coal product will increase global total concentrations of GHGs at a time when what is now urgently needed, in order to meet generally agreed climate targets, is a rapid and deep decrease in GHG emissions. 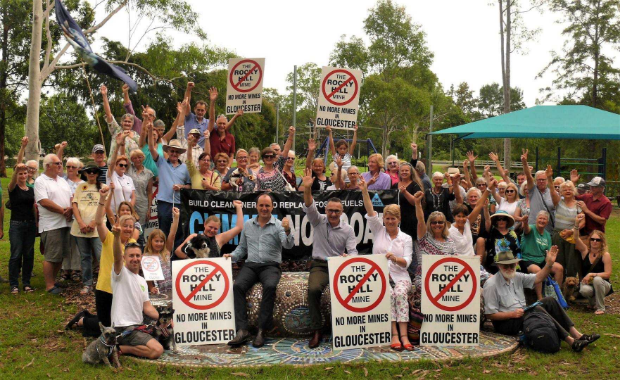 Greens leader Richard Di Natale with protesters against proposed Gloucester coal mine in 2017. The judge also rejected claims by applicant Gloucester Resources Limited that its mining carbon emissions would not necessarily exceed the carbon budget. The company also claimed emissions would go on rising despite the NSW mine ban, as reported by SBS News. Other large coal producers and mines would take up the slack. However, Justice Preston said the claims were “speculative and hypothetical”. He suggested renewables like solar energy could fill the gap because countries worldwide are taking measures to reduce greenhouse gases. Climate Council CEO Amanda McKenzie hailed the ruling as victory. She said the court acknowledged that coal is as dangerous as “tobacco and asbestos”. 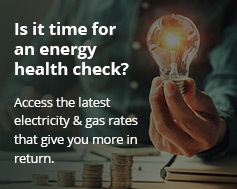 According to the Climate Council, coal’s health impacts cost Australian taxpayers around $2.6 billion each year. This is due to lung cancer, heart disease and premature death. This is in addition to the GHG emissions impact. The council wants renewables like solar panels and home battery storage to replace fossil fuelled power. It says Australia’s remaining coal mines are now ageing, unreliable and increasingly expensive to run. A November 2018 report by lobby group Lock the Gate claims less than a third of NSW coal mining companies rejuvenate mined land after they shut down operations. ‘Mind the gap: How fixing mine rehabilitation shortfalls could fuel jobs growth in the Hunter Valley‘ reviewed data from the nine largest coal mines in the Hunter Valley. Taken as a whole, the mines have rehabilitated just 30 per cent of the land they’ve disturbed. That amounts to 9,302 hectares of a 30,192 hectare footprint. The group claims NSW taxpayers could therefore end up with a clean-up bill running into millions of dollars. Mining companies in NSW currently set their own targets. The report says mandatory progressive rehabilitation targets set by governments could create at least 1,200 new jobs. Queensland has already adopted this process.